Le Jour se lève (or Daybreak) is a 1939 French film directed by Marcel Carné and written by Jacques Prévert, based on a story by Jacques Viot. It is considered one of the principal examples of the French film movement known as poetic realism. In 1952, it was included in the first Sight and Sound top ten greatest films list. After committing a murder, a man locks himself in his apartment and recollects the events the led him to the killing. At the end of Hôtel du Nord , Peter turns to Renee and said, “The sun rises, he will be fine Come, now it’s over …”. Some will see this dialogue invented by Marcel Carné to announce his next film. But if Peter Day evokes rises, it’s just a funny coincidence. You could call it a sign of fate or good omen but it is not: in 1938 the director of Funny drama has no clear idea of his cinematic future. However, one thing is certain: his next film will be produced in partnership with his two friends, Jacques Prévert and Jean Gabin. The three men who had given birth to Port of Shadows , had promised to work together again. Free of any commitment they gather in search of a script. 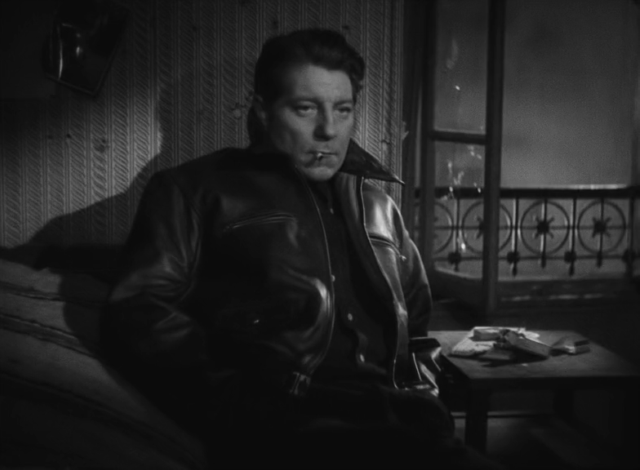 Initially, Gabin proposes an adaptation of a book by Pierre René Wolf. The novel, Room Upstairs (1), does not wrap Carné, Prévert or who decides to write an original screenplay. The poet begins his writing while doing some scouting director sets that could be used during filming. Time passes, and Carné Gabin are impatient, and Prévert finally admitted to them that he tramples and uninspired. So you have to start from scratch when Jacques Viot knocks Marcel Carné (his neighbor !! bearing) to propose a scenario. The director agrees to read the script and devours before offering it to his two sidekicks. The trio of artists appreciate this urban sad love story and accepts the project with enthusiasm rises … The Day is born! Today the interest film historians have in this work is mainly based in the use of flashbacks. For many, the day rises is the first talkie using this method Welles popularize a year later with Citizen Kane . However, this fourth feature film by Marcel Carné cover many more treasures to be described in later chapters! As everyone knows, the flashback is the process that is to go back in the story. Today, many films use this trick of writing: Casino (Martin Scorsese) to Once Upon a Time in America (Sergio Leone) through The Last Emperor (Bernardo Bertolucci), the cinephile culture is populated by works operating in flashback. But until the late 30s, the narrative was based on a sacrosanct linearity. Going against this rule was synonymous with incomprehension for the viewer. And if Carné was tempted, it has nevertheless been worried, just hours before the release of his film (June 17, 1939 to Madeleine Cinema in Paris) he still wondered if the public would understand the story . Sharing this fear, production inserted before each screening of the film a box explaining the process! Unlike some older works that use it occasionally, Day rises is mainly constructed using flashbacks. On the diegetic point of view, the duration of action is relatively short (a few hours in between shots that open and conclude the story), but during this time Francis earth in its shelter, smoking cigarette after cigarette and think about the sequence of events that led to this situation. He dives three times in his memories and allows us to reconstruct the pieces of the narrative puzzle designed by Jacques Viot. However, if the use of the method demonstrates the daring film by Marcel Carné, it does not change much for his extraordinary skills. Fully respecting the rule of three units (location, diegetic and share time), the filmmaker sets up a drama whose progress captivates the viewer from beginning to end. He thus shows that by using the founding rules of storytelling, it is still possible to innovate. Is this not the mark of a pure artist? If Carné knew renew film grammar while demonstrating the greatest proficiency in staging it is also because he has surrounded himself with peerless technicians. After collaborating with Eugene Shufftan on Port of Shadows , he says the new lighting feature Curt Courant. As Shufftan, the German-born cinematographer learned his craft from the great masters of beyond the Rhine as Fritz Lang and Max Ophuls film. Dice the 30s, he fled Nazi Germany to work in Europe. He was responsible for the photography of The Human Beast (Renoir, 1938), The Man Who Knew Too Much (Hitchcock, 1934) or later Monsieur Verdoux (Chaplin, 1947), in other words, great job … His approach expressionist lighting is perfectly suited to the poetic realism of Prévert / duo Carné. Playing with shadows and light, technique focuses light on the subject of the story and directs the movie plays. Performing dogs led by Jules Berry where the whole frame is illuminated (28’45) to those big silent shots where only a ray of light reveals the lost look of François (12’57), Current carrying out work in all Points admirable. But if the light of current pictorial combines beauty and dramatic effectiveness, sets designed by Alexandre Trauner indispensable are not far behind. To better express the loneliness of the hero, Trauner built a modern building erected in the middle of a square in the suburbs. When the police laid siege, Francis earth deep in his small studio. This piece reminds CC Baxter’s apartment the designer will create a few years later in The Apartment (Billy Wilder, 1960). There is the same type of objects and a typically male design. Some memories and a lot of empty symbolize the loneliness of the hero. But it is certainly the height of the building is most surprising in Day rises: with its five floors, it dominates the other houses and crushes the landscape of all its ugliness. Trauner anticipates a modern urbanization while verticality and without any charm that will change the landscape of post-war and participate in the pain of living in the suburbs. Studio Francis, on the top floor, also evokes the isolation he suffered: away from the street, the hero is dehumanized. When hiding in his refuge, Gabin around in circles and eventually scream his distress to the crowd of onlookers: “Francis, Francis, Francis no more … let me alone, all alone, I want one m’foute peace. ” Here dehumanization of the protagonist is clear, his will to live is gone and the final tragedy is announced. In another scene, Francis is at the factory. The place where men work alongside each other does not mean a haven of humanity behind the mask, the workers working in the dust and noise. No communication is allowed and when the beautiful little Françoise comes with a bouquet of flowers, must François away machines to be heard. 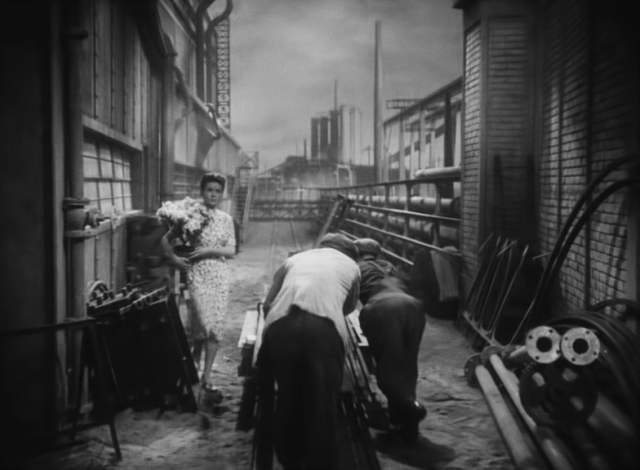 After a few minutes, the bouquet is faded and Gabin says wryly: “J’te had said was all that was healthier here.” As in Modern Times Chaplin, the message is clear: the factory and modernity provide no social progress, it is only a machine that grinds personalities. Finally, we recall the torque Port of Shadows forced to hide behind the barracks to love. This is reflected in the Day rises where Carné films her lover behind windows and in confined spaces. It is in the small house of Françoise or in the floral greenhouse employer they declare their love. We are in 1939, Germany has already started his war machine and all forms of hatred at their worst. For Carné, love no longer has a place in the street and gets up Day is as a work of anticipation poetic, sad and deeply upsetting. If the scenery, photography and the work of the technical team involved in the disillusioned atmosphere of the Day rises must not forget as long as the work of Prévert fantastically highlighted by épatants actors. By adapting the script Jacques Viot, the poet once again demonstrated its immense talent. The film is less talkative than Port of Shadows, but it still offers some remarkable dialogues. So when Clara declaims “memorabilia, souvenirs, do I look like to make love with memories,” Prévert rivals Jeanson’s famous “atmosphere” offered the same Arletty a year earlier (Hotel North) But Prévert made ​​the difference and imposes its footprint through the poetic verve he brings to certain sequences. bouquet of withered flowers mentioned above, the tears Arletty behind the window or blind (2) spends his time asking questions are all inventions participating in poetic realism of the film. To bring this atmosphere, three actors now entered the pantheon of French cinema, their talent and deliver outstanding performance. There was first Gabin that expresses the largest natural sweetness tinged violence. It is this character lost in his love and passion like the teddy bear of his beloved: “You see, it is like you, he has a gay eye and the other a little bit sad,” said Frances. Constantly on the verge of explosion, he holds up his feelings this unforgettable scene where he yells at her window. Admittedly, this magnificent rant remains one of the greatest monologues of cinema. Gabin allows Francis to express his discomfort and anecdote says he found it very hard to turn this sequence: according to some witnesses, the interpreter finally locked in his dressing room where he wept bitterly. Latent power, the mild smile and look lost, that’s all Gabin! An actor fully inhabited by choosing roles that he knew perfectly. At his side, found Arletty who came to prominence a year earlier thanks to Hotel du Nord . In The Day rises, Carné and Prévert bring a new dimension. Behind the Parisienne with a machine gun replica, viewers discover a love and tenderness well. This interpretation opens the door to other memorable roles including that of Garance in her Children of Paradise (1943). Finally, like any great movie, The Day rises features a “nasty” absolutely great. In interpreting Valentin, Jules Berry creates an ambiguous character. One never knows his ambitions nor his past and he emerges from her attitudes, her smiles and palaver an unhealthy and destructive power. He lies, listen behind doors, handles the weakest and Clara admits that torture animals !!! His satanic performance is enough to convince Carné who offer him the role of the devil a few years later in the evening The Visitors (1942). This combination of technical and artistic talents as provide a beautiful critical acclaim Day rises. But a few months after its release, the Vichy government banned the film as too demoralizing. However, the decision cowardly and hypocritical not stop him from becoming one of the greatest classics of our heritage. In 1947, Anatole Litvak attempts a Hollywood remake with Henry Fonda and Barbara Bel Geddes (The Long Night). Unfortunately, the success is not at the rendezvous. 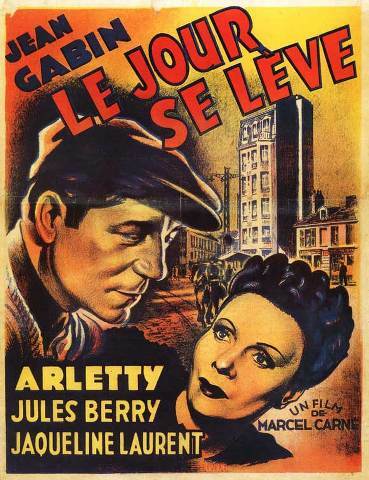 Despite its capabilities, Litvak never reaches the dramatic power that was born talent gathered Carné, Prévert, Current, Trauner, Gabin and Arletty Berry … The other masterpieces of cinema are the result of an alchemy that is certainly impossible to replicate, Le Jour rises is obviously one. Cherish it!